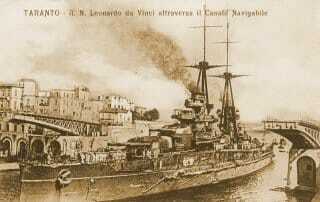 The first Italian dreadnought (the irony was the concept was Italian-born, Cuniberti thinking of a glorified, fast armoured cruiser rather than a new class of battleship, but picked up and realized by Admiral Fisher) was the Dante Alighieri (launched 1910). 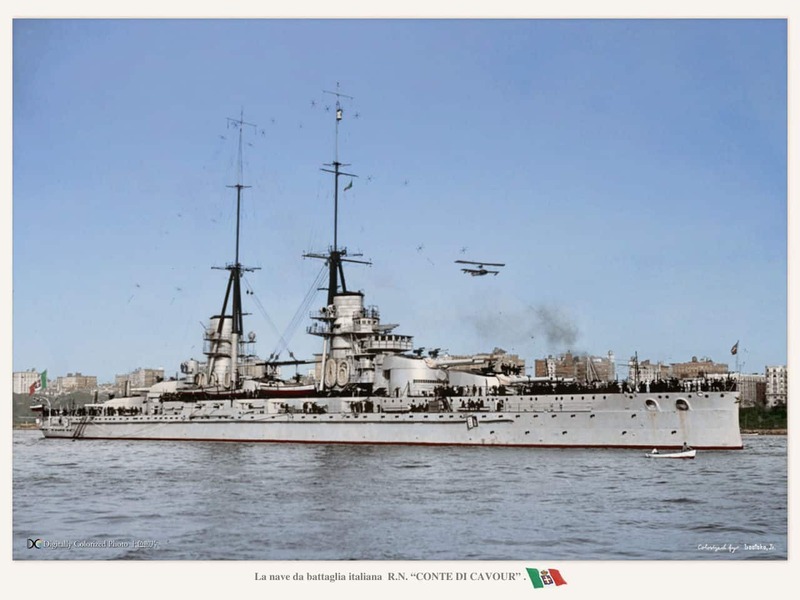 She was started in 1909 because Italy was then completing the last pre-dreadnoughts of the Regina Elena class, already almost a transitional ship with their powerful secondary artillery and speed. 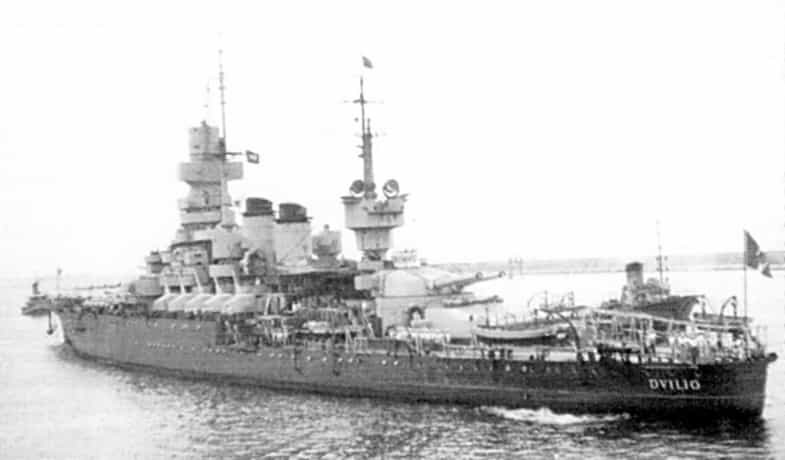 The Alighieri was designed by Engineer Edoardo Masdea to be literally built around its broadside, bearing four triple turrets, twelve 305 mm guns (12 in), which was the same than the contemporary French Courbet class battleships. 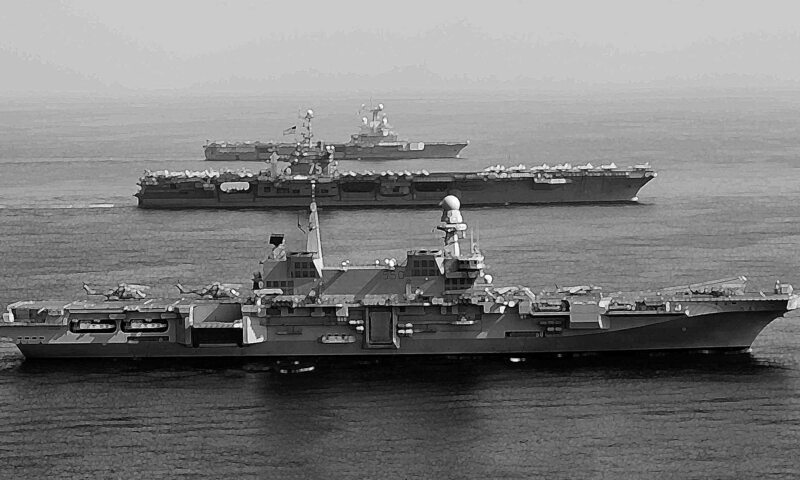 But if this configuration allowed a full broadside, in chase or retreat this was far less (three versus eight on the latter). Therefore the next class was an attempt to remedy to this and having a more balance firepower in all situation. The Dante Alighieri (one of the rare, if only BS named after a poet) was eventually scrapped in 1928. 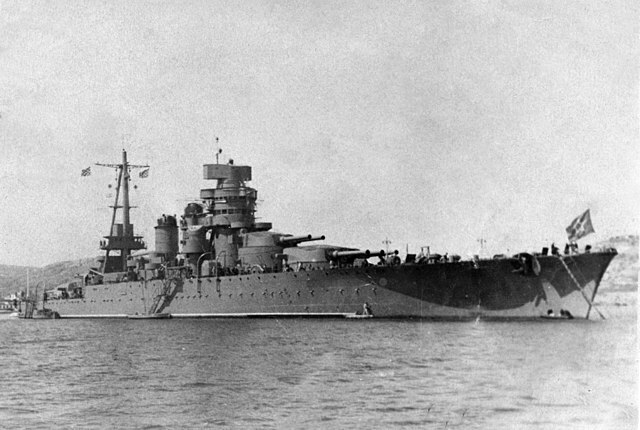 In a relatively short span, Italy would design and built five battleships in two classes, based on roughly the same design. 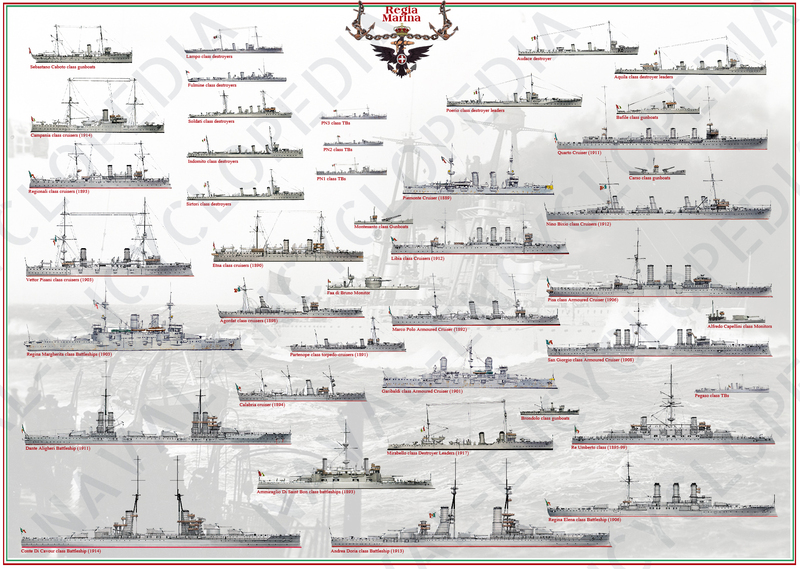 The Cavour class in that sense was almost a super-class, of which most ships entered service when WW1 has broke out. 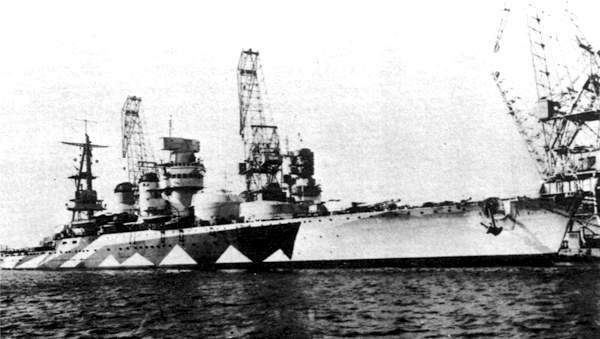 The 1916 Caracciolo design was a radical new approach in size and armament, almost a compromise between battlecruisers and battleships, a new breed soon known as the “fast battleship” quickly stopped by the Washington treaty and resumed in the 1930s. 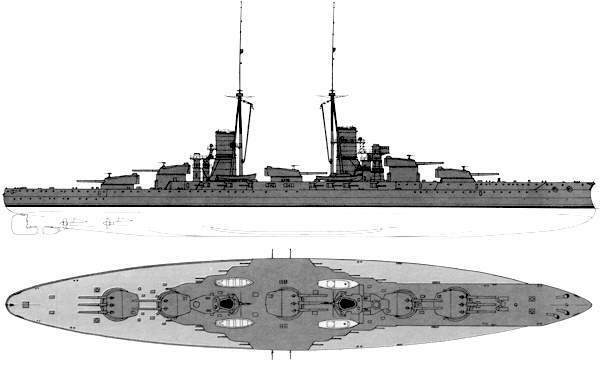 After the Dante Alighieri, which served as a prototype, the new class designed by Edoardo Masdea at the beginning of 1910 had specifications still including 305 mm pieces (while the Royal Navy was now going 13.5 in or 343 mm), but for an authorized tonnage of 23 000 tons, and a speed of 22 knots. Lessons learned from the Dante made it possible to redefine the plans. The first difference was the previous artillery centerline arrangement, now distributed in front and rear echelons, one turret remaining in the center, in accordance with contemporary designs. 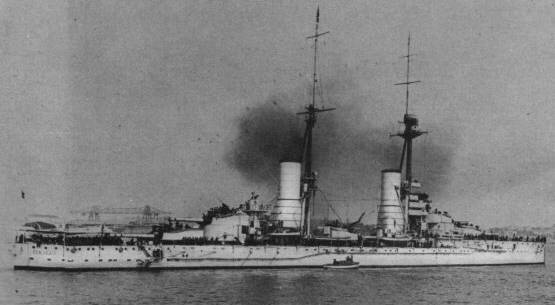 The originality of the Italian concept was to mix triple and double turrets, the latter on the upper level to lighten stresses on the hull, for a total of 13 guns, which was superior to all the dreadnoughts built so far, except the Sultan Osman I, future HMS Agincourt, with its 14 pieces, still in completion at the time in an English shipyard. In 1910 there was turmoil in the Balkans, and Turkey was the most likely opponent for Italy. 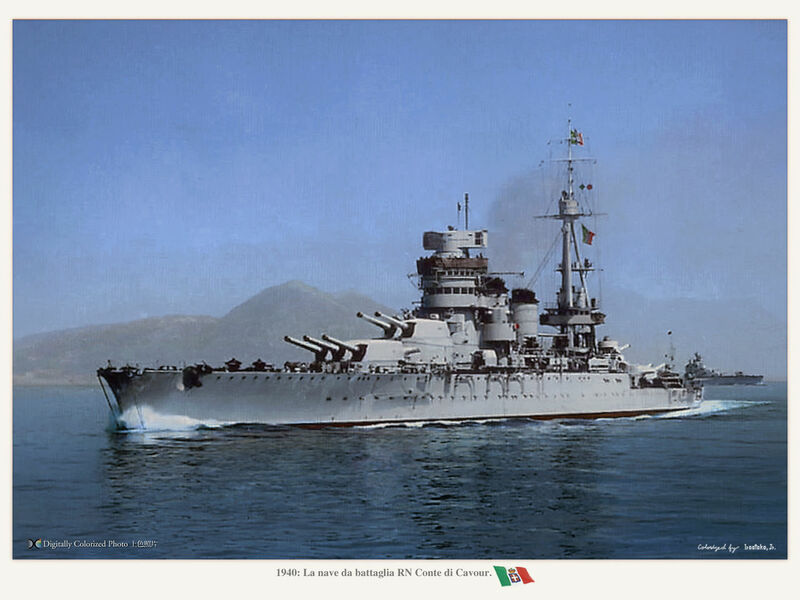 The second peculiarity of the Guilio Cesare was to return to the solution of barbettes for all secondary armaments (while Dante had double turrets), assembled in the center, on a diamond-like battery easier to protect but requiring large beaches in the hull for these to fire aft and rear. The two pairs of chimneys of the previous design were replaced by truncated chimneys framing the central turret, and on which the successive observation bridges were fitted, supported by the two tripod masts. This was another originality of the design. Tertiary armament consisted of 19 pieces of 76 mm instead of 13, placed on the main turrets, and on the bridge. The battery protection was reinforced, and the turret armour raised to 280 mm (11 in). The originality had been to design a large blockhouse with 280 mm thick walls, protecting the command and fire control in the same structure. Its belt armor comprised a complete waterline 2.8 meters (9ft 2 in) tall, of which 1.6 meters was below the waterline and 1.2 meters above. Maximal thickness was 250 mm (9.8 in) reduced to 130 mm towards the stern and 80 mm towards the bow. There was a strake of armor 220 mm thick, extending 2.3 m up to the lower edge of the main deck, and a 130 mm layer above and an upper strake of 110 mm that protected the barbettes. The decks were 24 mm (0.94 in) -with 40 mm slopes, and 30 mm thick in succession. The powerplant consisted in 20 Blechynden water-tube boilers (Cavour & Da Vinci) and 12 oil-fired and mixed-firing Babcock & Wilcox boilers (Cesare). But all had Parson turbine sets, located in the center engine room (two inner shafts) and side compartments for the outer shafts. Designed speed was 22.5 knots (41.7 km/h; 25.9 mph) not achieved in sea trials, despite having a better rated power as designed. Top speed ranged from 21.56 to 22.2 knots (39.93 to 41.11 km/h; 24.81 to 25.55 mph) at between 30,700 to 32,800 shaft horsepower (22,900 to 24,500 kW). They stored 1,450 long tons of coal and 850 long tons of fuel oil for 4,800 nautical miles range (8,900 km; 5,500 mi) at 10 knots (19 km/h; 12 mph), and 1,000 at 22 knots. In addition three turbo generators provided 150 kilowatts at 110 volts to power the main systems before heating the engines. The Conte Di Cavour was started at La Spezia Arsenale laid down in 10 August 1910, launched exactly one year after and completed in 1 April 1915. Entirely rebuilt in the 1930s, she participated in WW2 as well. The Guilio Cesare was laid down at Gio. Ansaldo & C., Genoa earlier on 24 June 1910, but launched later on 15 October 1911 (hence she was not the class lead ship) and completed on 14 May 1915. The third, “fogotten battleship” of the class was the Leonardo Da Vinci (the choice of a painter after a poet) laid down at Odero, Genoa-Sestri Ponente, launched 14 October 1911 and completed 17 May 1914. The next Caio Duilio class (1915-16) was closely derived. Propulsion: 4 propellers, 4 turbines Parsons, 20 Blechynden mixt boilers, 32,200 cv, 23 knots. Armament: 13x 305 mm (12 in), 18 x 120 mm (5 in), 19 x 76 (2 in), 3 TT 450 mm SM (18 in). All three were thus operational at the declaration of war of Italy to the central empires. 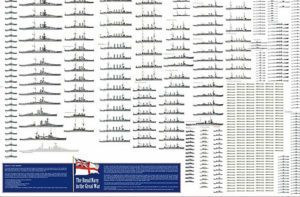 These units formed the first division of the line, the spearhead of the Italian fleet. 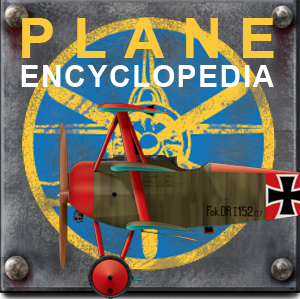 But their rare trips from Taranto, where they were all based, to intervene against a possible exit from the Austro-Hungarian fleet of the Straits of Otranto, were without notable facts, although they participated in bombing raids. Four pieces of 75 mm AA were added during the war, and the Da Vinci sank following a sabotage of Austrian divers, who had succeeded in forcing the way to Taranto on August 2, 1916. It was bailed out in 1919 but finally demolished. The two others were recast twice, and participated in the Second World War. The most impressive battleship refit ever ? The Guilio Cesare was launched in 1913 as a Dreadnought (monocaliber battleship). She was originally one in a serie of three sister ships (class Conte de Cavour) started in 1910, launched in 1911, and completed in 1913-14. 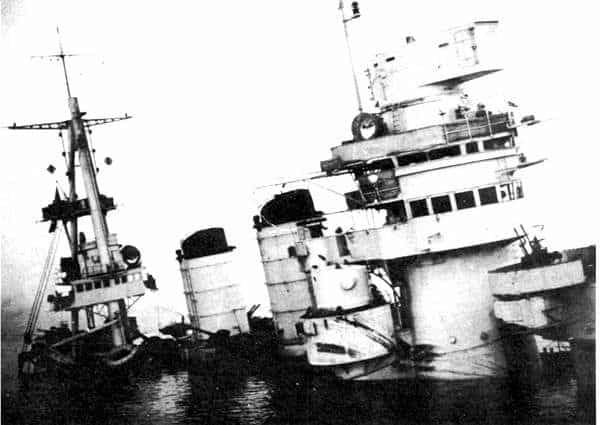 Leonardo Da Vinci, the third in the class, was destroyed by a bunker explosion in 1916 and scrapped in 1923. In 1932-33 the remaining two ships were placed in reserve and then rebuilt in Genoa (Cesare) and Trieste (Cavour) in October 1933. 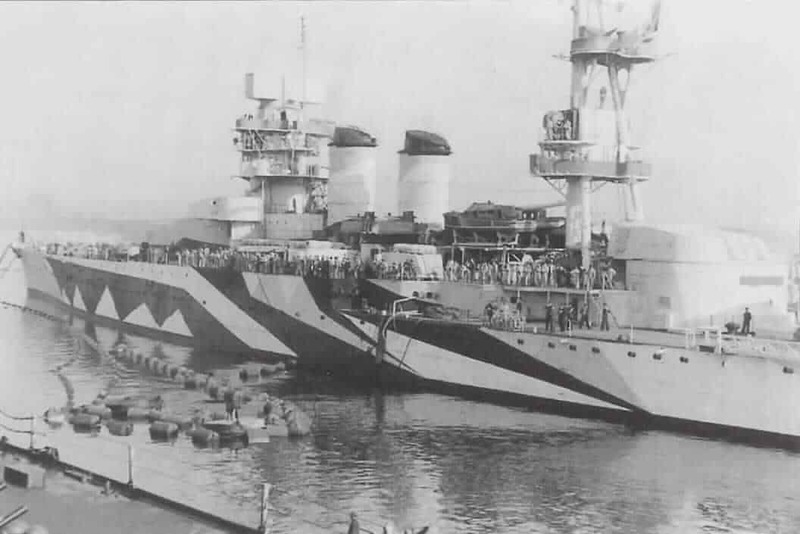 This absolutely radical overhaul, led by Vice Admiral and General Naval Engineer Francesco Rotundi, included so many modifications, that the new Cesare was practically a brand new ship. The ship was fitted with in short with new engines and boilers, new shafts (from three to two) and new propellers, oil heating, new chimneys, with performance soaring up. -Above the deck the story was the same, engineers started with a blank page. Two new masts were erected, a new bridge superstructure, conning tower and command tower, new rangefinders and optical instruments, fire table, radio, and other modern equipment. 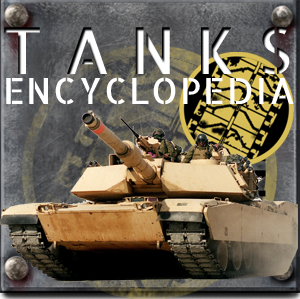 -The artillery pieces were recast, with a caliber raised from 305 to 320mm (), and far better elevation for a greater range, whereas the turrets were completely redesigned as well. -A secondary artillery with 6 double turrets of 120 mm () was installed, instead of barbettes. -A brand new AA artillery was installed, with six dual-purpose twin barreled turrets of 102 mm guns (4 in) and twelve twin mounts of 37 mm (2 in), plus twelve twin 13 mm Breda heavy machine guns. -Moreover since the ship’s hull in drydock was completely overhauled, an elongated hull with a clipper bow and new waterline was also built. -Last but not least, a completely redesigned armor scheme, with anti-torpedo bulges and completely redesigned vertical protection (decks and engine rooms). In fact, 40% of the old structure of the hull passed through this overhaul. 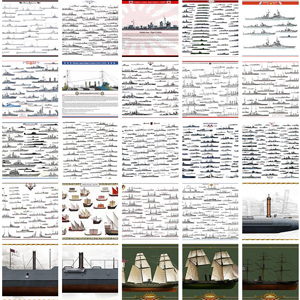 Even the Warspite, Queen Elisabeth and Valiant, their only equivalents in the Royal Navy, did not went as far. But still they had a 381 mm (16 in) main battery, which at least on paper had a clear advantage over Italian vessels in sheer broadside punch, although the ratio 10/8 guns was in favor of the Italians. Camouflaged Cavour in Trieste, 1942. In the end, the two ships emerged in June and October 1937 from the drydocks as part of the 1st Naval Division (waiting for the Littorio class to replace them). 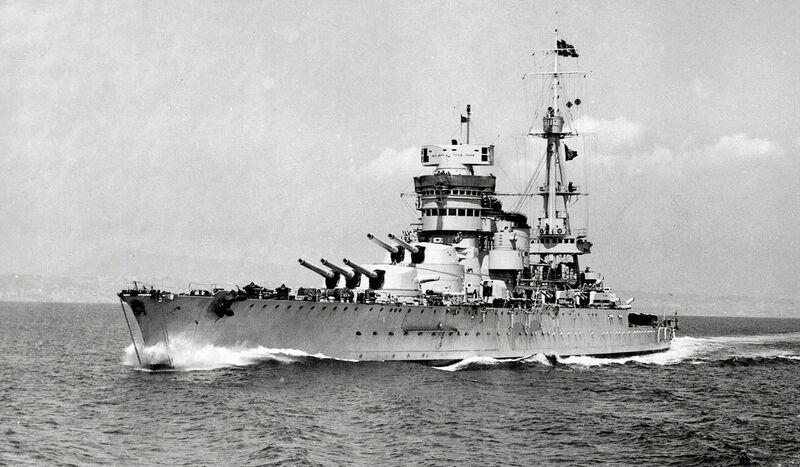 After a naval review in Naples Bay before Hitler in 1938, their first action was on the coast of Albania in May 1939. Then in July 1940, they took pat in the battle of Punta Stilo (undecided). The Cesare was hit in this occasion. After repair, the two ships attempted to stop convoys to Malta, without success. On November 11, 1940, both ships were attacked by the famous night raid of Fairey Swordfish in Tarento and the Cavour was put out of action for months. In fact, the Cavour was salvaged and towed to Trieste for other repairs, which were not completed when Italy surrendered in 1943. Plans for rearmament after the war never materialized and the Cavour was scrapped in 1949. Armament 12 x 120mm (6×2), 4 x 100mm AA, 12 x 13mm Breda AA.